We understand that in our beautiful Perth climate, a stunning alfresco space is a must for any Western Australian home. We can work with you, or your home builder, to create a perfect outdoor kitchen to compliment your indoor space, whilst in the process adding value to your home. We commence with getting an understanding of your requirements and lifestyle before designing your new space. 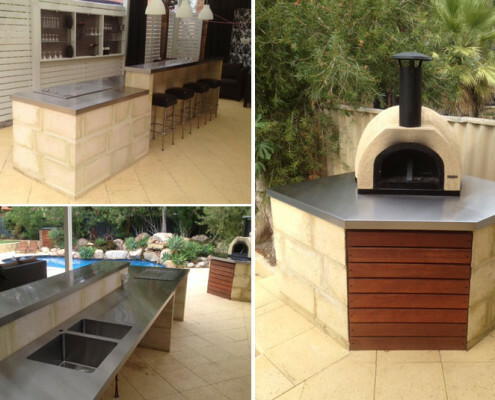 We then create your custom designed stainless steel outdoor kitchen out our Bibra Lake premises. 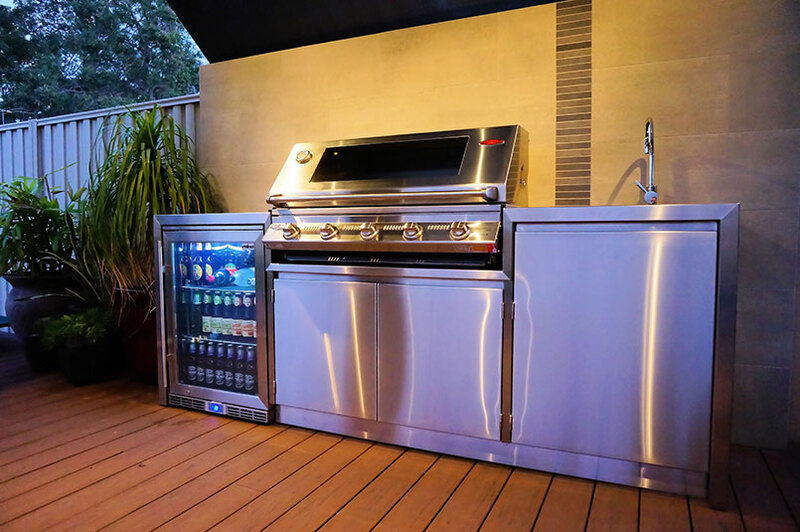 We can work with your tradespeople or organise our own to ensure the installation of your new outdoor kitchen it seamless and our aftercare service cannot be beaten. You’ll be the envy of the neighbourhood with the “Aurora” in your backyard. Manufactured locally out of high grade stainless steel and guaranteed to add value to your home and lifestyle. The Aurora starts from $7600 and can be customised to your exact requirements. It’s typically available within 4 weeks. All our quotes come with a 3D rendered image of the proposed design. Full 316 grade (marine grade) stainless steel construction (see example below of 304 grade close to ocean and how it can stain) 316 should be used at minimum within 15km from the ocean. The quality of our work is second to none and the design of your new alfresco area is only limited to your imagination! We’ve included some examples of our recent outdoor kitchen installations below, click to enlarge the images. To see more of our recent work visit our portfolio page. Ready to get started? The first step in the process is easy! To get started, fill in the from below and tell us exactly what you’re looking for. Once you submit the form one of the team will take a look and come back to you with a quote and we can move forward from there. What items would you like in your alfresco kitchen? Approximate budget you have in mind?